Version 1.1.0 of NarraFirma adds two new ways to get your data out of NarraFirma. 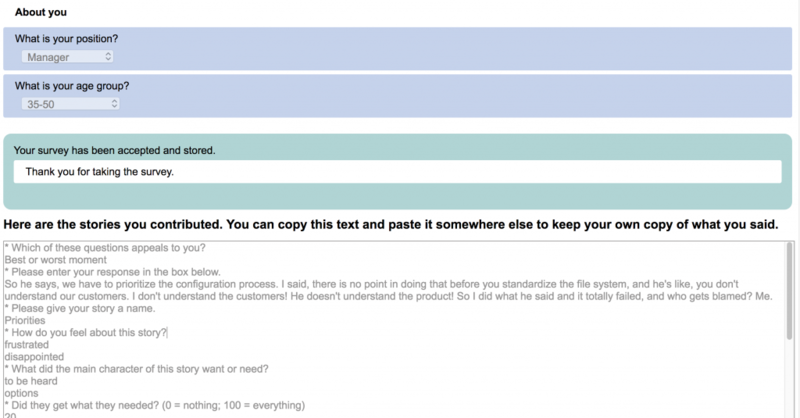 First, in the survey, participants can see and copy a summary of their submitted stories (and you can control whether people see this or not). 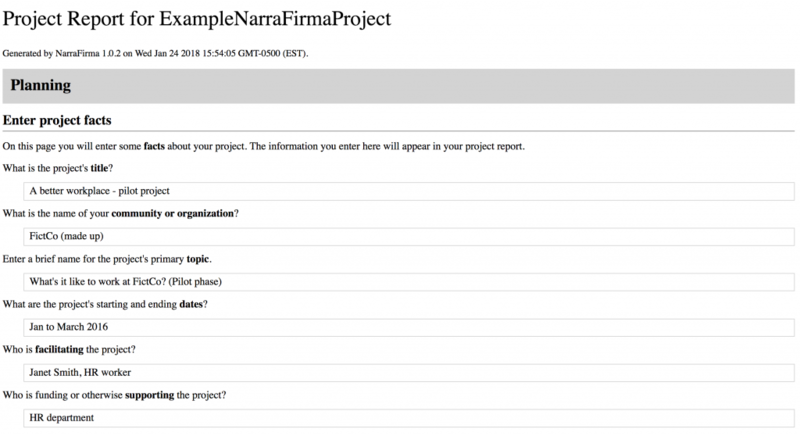 Second, in the application, you can print an HTML project report that summarizes everything you typed into NarraFirma (for use in other software). If you have an existing NarraFirma installation and need help upgrading it to the new version, check our installation page for instructions.